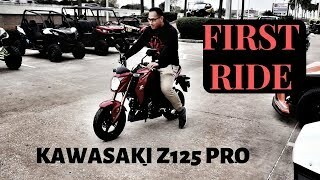 This new 2019 Kawasaki Z125 PRO Motorcycle for sale has 3 miles. The color is EBONY. It is offered for sale by Del Amo Motorsports and located in Redondo Beach, CA. The listing # is 101815. For more information call (424) 370-2681 . For the fastest response send an email via the form above. Small in size. Big on fun. 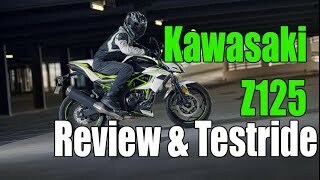 The Kawasaki Z125 PRO is a nimble streetfigher that's designed to defy what a lightweight motorcycle can be. This easy to ride bike delivers the freedom and excitement of motorcycling for new and experienced riders alike. 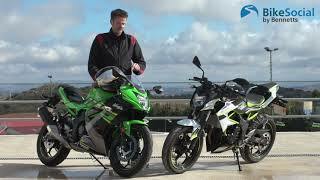 With radical Kawasaki œZ� styling, the Z125 PRO is your invitation to the rebellious side of fun. The average price of a 2019 Motorcycle for sale is $9540.52. This model is priced $6341.52 less. The average price of a 2019 Kawasaki Motorcycle for sale is $9198.37. This model is priced $5999.37 less. The average 2019 Kawasaki Motorcycle for sale has 2 miles. This model has 1 more miles. There are 780 Kawasaki Motorcycles for sale within 150 miles of Redondo Beach, CA. If you looked at the average 2018 Kawasaki Motorcycle for sale it would cost $4055.83 more. 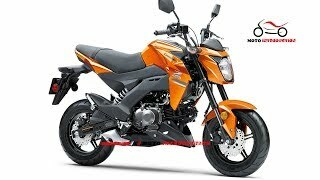 The average price of a 2019 Kawasaki Z125 PRO Motorcycle for sale is $2991.70. This model is priced $207.30 more. 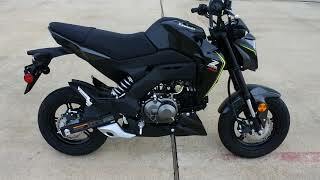 The average 2019 Kawasaki Z125 PRO Motorcycle for sale has 2 miles. This model has 1 more miles. There are 84 Kawasaki Z125 PRO Motorcycles for sale within 150 miles of Redondo Beach, CA. 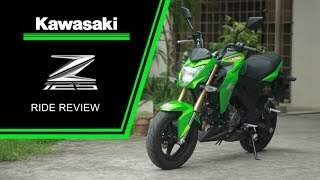 If you looked at the average 2018 Kawasaki Z125 PRO Motorcycle for sale it would cost $421.71 less. 3. 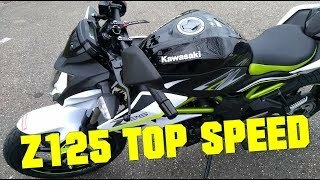 2019 Kawasaki Z125 TOP SPEED! 4. 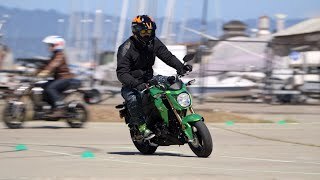 Honda Grom VS Kawasaki Z125 | Drag Race!